Fighting! Then some more fighting! And FIGHTING! Plus the greatest closing credit music in the history of film. Don’t believe me? 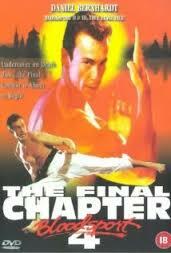 This could just be the fightingest martial arts movie of all time. 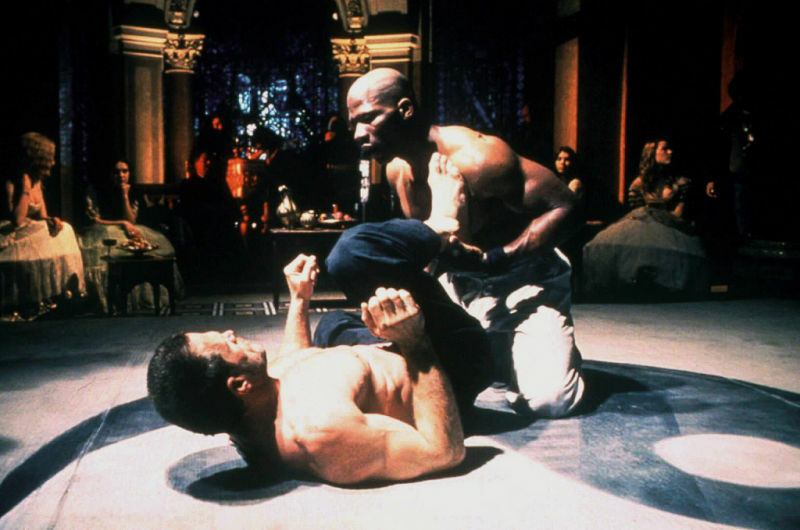 At 82 minutes, I’d put the amount of plot at around 15 minutes, say 7 for training montages, which leaves a solid hour of people beating the crap out of each other. And I loved it! Surrounded by one of the most pointless framing stories ever, where an elderly-looking James Hong (aka David Lo Pan from “Big Trouble In Little China”) tells the story of how Alex got his groove back to a bunch of pre-pubescent martial arts students, we’re thrown right into Alex’s story. 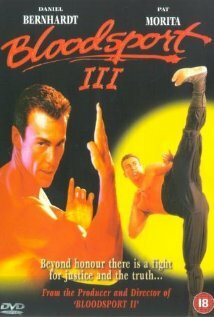 He steals a sword from Pat Morita’s house but is double-crossed by his partner and arrested; fights his way through the prison; has to spend some time in “The Cooler”; and is taken under the wing of Sun (Hong) who, seeing that Alex is a good guy really, teaches him the Iron Hand technique and helps him back to being a good guy. 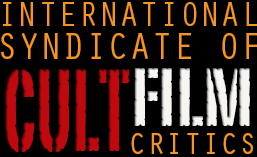 This would normally be the first hour of a movie, but is dispatched with here in about 30 minutes, which is incredibly refreshing. The one problem, to this point, is Alex just looks like a villain. 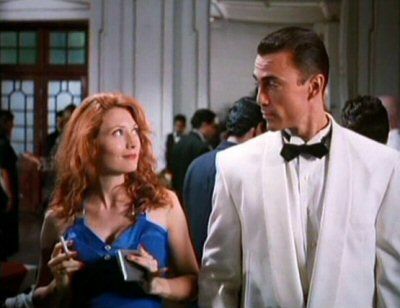 Daniel Bernhardt has had a decent career of mainly playing scumbags, so it’s a bit weird seeing him as the underdog, as it is seeing the guy who was David Lo Pan play the kind old teacher. 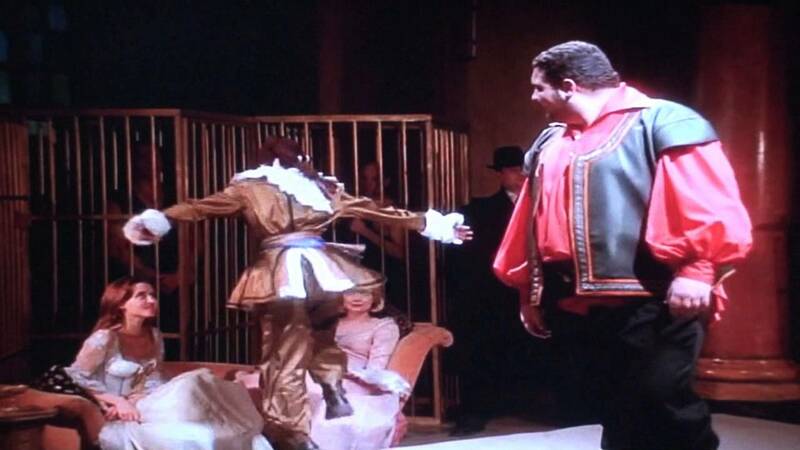 But at least we have two actors definitely playing to type – Ong Soo Han, who was the main villain in “Tiger Claws 2”, is prison guard / kumite contestant Demon, sort of a pale imitation of Bolo Yeung; and OGRE IS BACK! 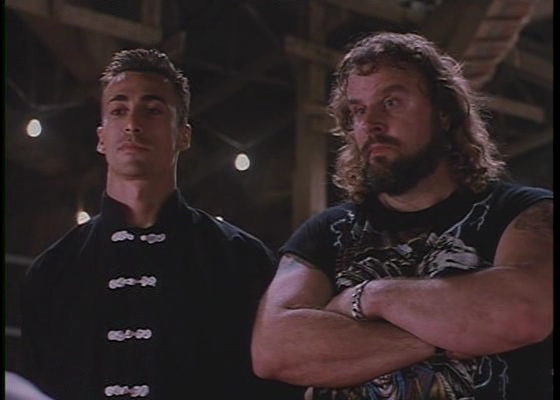 The great Donald Gibb, who was in the first “Bloodsport” eight years previously, returns as Ray Jackson, only this time he’s the handler for the fighters rather than getting involved himself (despite one of the contestants looking a good decade older than he is). 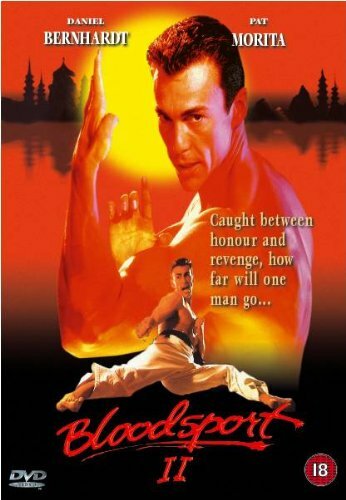 Yes, “Bloodsport” means kumite, the completely fictional fighting competition dreamed up by Frank Dux to sell books. Pat Morita is in charge, and he pays for Alex to get out of prison so he can find the stolen sword and compete in the kumite (the sword, it turns out, is going to be the first place prize). I admire a man so calm about being robbed. All this is window dressing to the fighting. 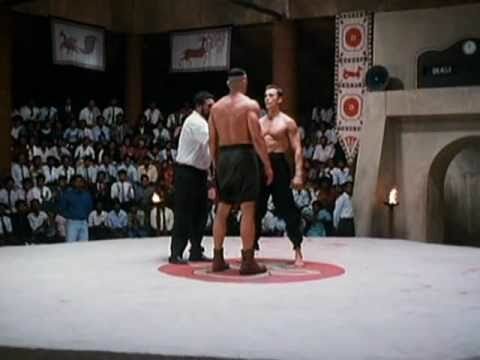 Aside from some great scenes in the prison, most of the fighting takes place at the kumite – despite being a world renowned competition for the best martial artists, it’s being held in a large barn with an audience made up of poor-looking locals for some reason. The 8 years between parts 1 and 2 have meant some changes – while not getting rid of the “secret mystical art is the way to success” thing, some of the fighters incorporate grappling and submissions into their arsenal; and there’s a female fighter who isn’t treated as a figure of fun. 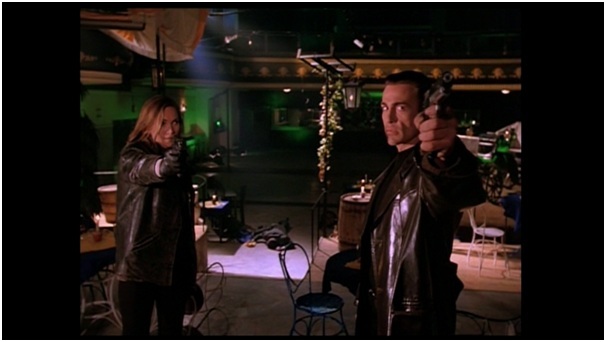 She’s Kim, played by Lisa McCullough who’s much better known as a stunt-artist than an actress. It’s a damn shame, because she can obviously fight and looks like a strong athlete as well as easily being attractive enough to base a movie around; makes me wonder why it happens for some people and not others. The variety of fighting is fun, which is handy because there’s a lot of it. Some of the outfits are truly staggering in their awfulness too (one fighter looks like he’s wearing a rainbow-themed gymnastics lycra monstrosity) but the fighting looks great – no obvious “air” between striker and strikee, simply and effectively shot. They even manage to tell a bit of story through the various fights, and give some of the secondary characters personalities, so well done movie.